Field Biology was an amazing experience! 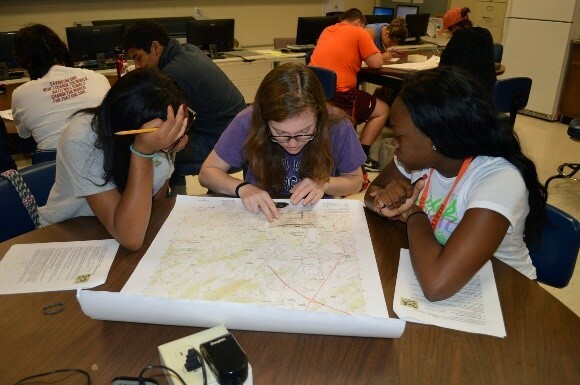 Personally, I had a great time learning how to properly use a compass, a GPS, read Topography Maps, and learning about the basics of wildlife biology! We also went turtle tracking for box turtles, which obviously was the best. Before we could go turtle tracking, we first had to learn about orienteering. Orienteering is when someone is able to be dropped off anywhere, have a set destination, and find their way there using only a compass, a map, and a GPS. My favorite part of the entire day though was finding the turtles. 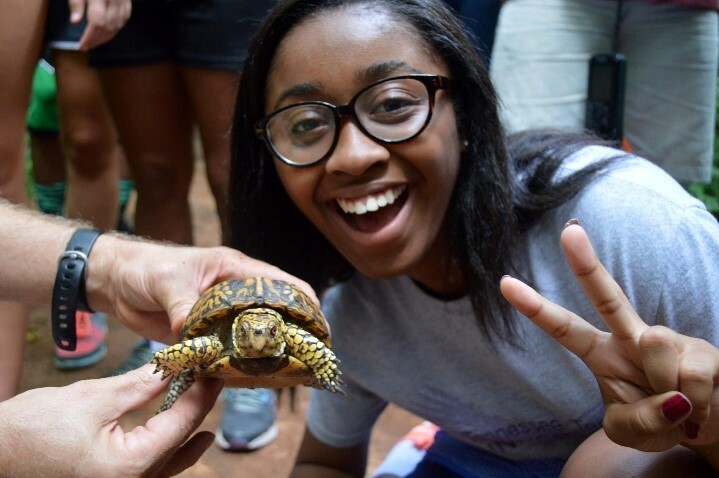 Because Maryville College has a large number of box turtles in the woods, there is research being done on the turtles. So things like their mating habits, amount of eggs laid, size, and etc. are all being researched. I actually found the first turtle who was a large male. Since I found him I got to name him Miracle Jr.! Once we found a turtle we would use a GPS to mark the exact location that the turtle was found and take them back to get measured. Then we would record the data so that it could be in the study. Miracle and her turtle son, Miracle Jr. Overall, it was an amazing experience that taught me that learning to use new tools and doing things I haven’t done before (AKA tracking turtles) can turn out to be something that you love. For me it was great and I will definitely do it again when I have the chance.